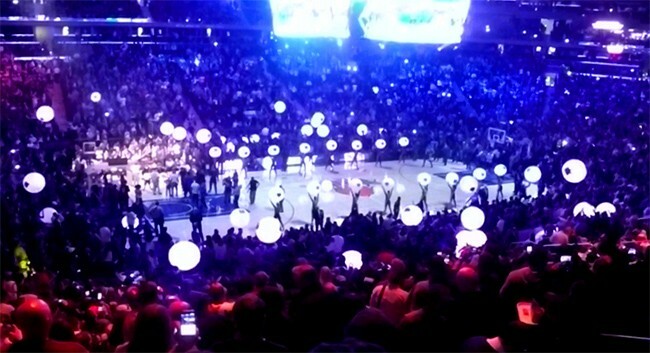 Light up glowballs by TLC energize the opener shows for NY Knicks new season. 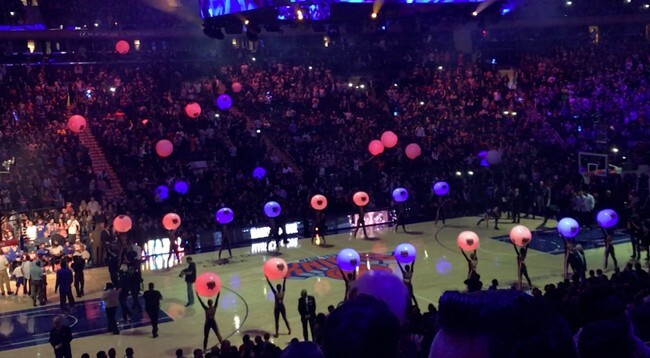 The Knicks City Dancers perform with TLC GLOWBALLS, while GLOWBALLS are released into the audience at Madison Square Garden. 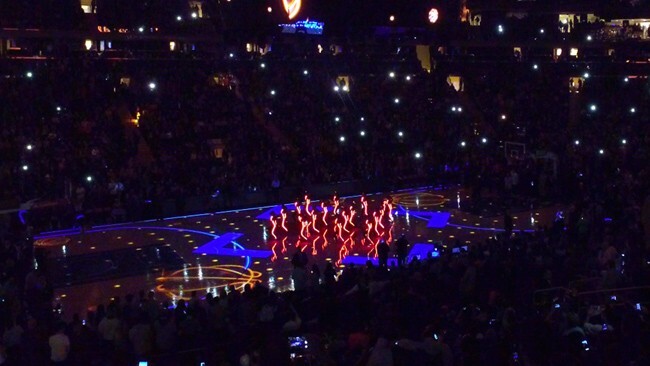 Knicks City Dancers light up with LED Light-Up-Suits, custom LED costumes created for the Knicks by TLC. 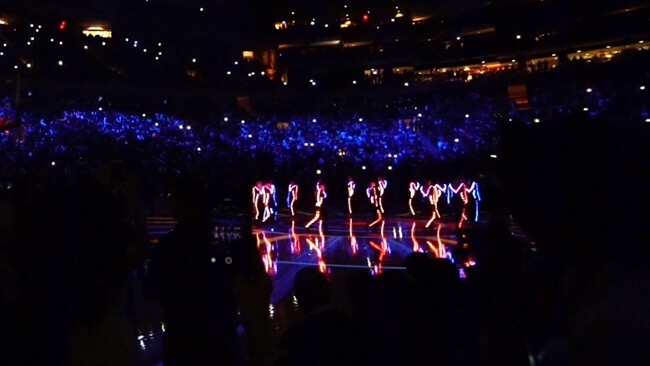 TLC created DMX controlled light-suits that animate colors in sync with mapped projections, a dazzling combination! 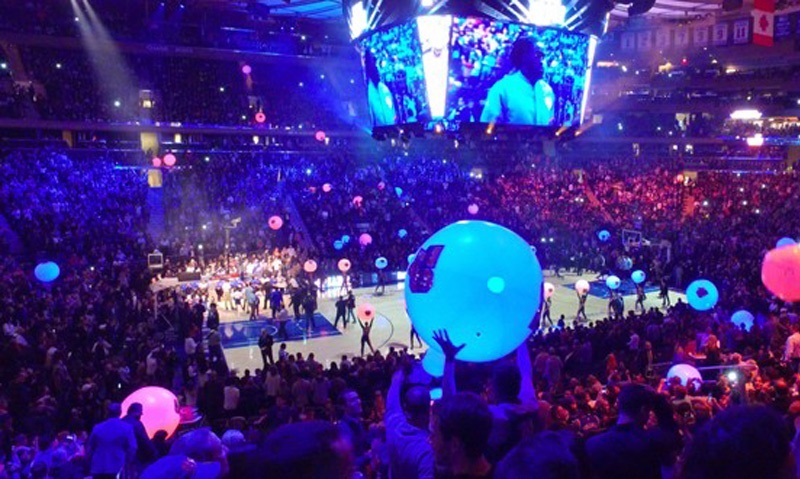 TLC provides live special effects like glowballs and custom LED entertainment. 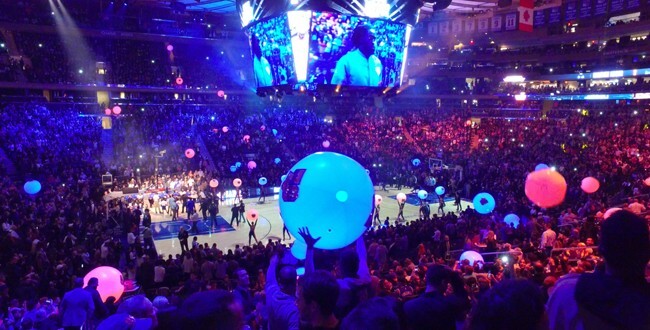 Cutting edge technologies are creating a new era of LED LIGHT SHOWS, and TLC is pioneering new LED effects for new excitement at all kinds of events, large or small. Give us a call today.